A young Gascon nobleman, d’Artagnan, makes his way to Paris hoping to join the Musketeers, that legion of heroes held in high esteem by the king and feared by the wicked Cardinal Richelieu. D’Artagnan quickly proves he has the heart of a Musketeer and earns himself a place in their ranks. Relying on their wits and skills with the sword, the gallant trio sets out to preserve the honor of the king and foil the nefarious schemes of Cardinal Richelieu. 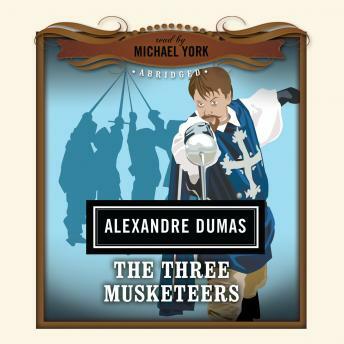 Alexandre Dumas’s swashbuckling epic has embroidered upon history a colorful world of swordplay, intrigue, and romance, which earned this classic its reputation as the most thrilling adventure novel ever written.